It's A Dan's World: WHAT IS WOLVERINE'S ROLE IN SHADOWLAND? 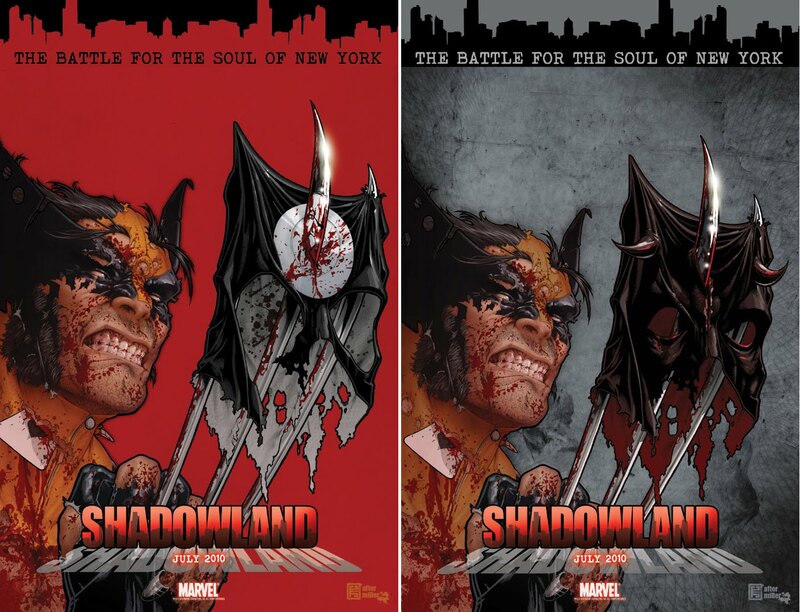 WHAT IS WOLVERINE'S ROLE IN SHADOWLAND? Is there something in the Marvel Universe ol' Wolverine hasn't stuck his claws into? Judging from the teasers for July's Shadowland event, both Bullseye and Daredevil are about to find out. Could Logan actually take out the 'Man Without Fear'? Or is he just using his claws to put on the world's worst puppet show...only time will tell.